An ice cream parlour at Darling Harbour (right near Harbourside) that provides a diverse array of different ice cream flavours. 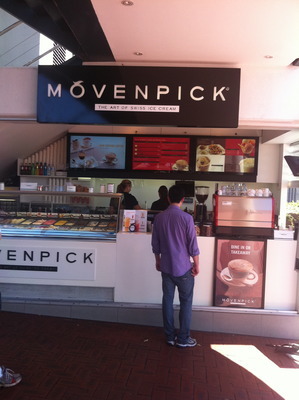 The store is well presented, yet it is so not believable that their ice creams are homemade; even though Movenpick claim that their ice creams are homemade without anything artificial. They don't look all mashed up like ice cream does at many other ice creameries. The staff who serve you behind the counter are also quite young and come across as being a little bit shy. Well at least they are polite, and the service itself is nothing to complain about. Tried their hazelnut ice cream. Although it was delicious and filling, the taste and the flavour was slightly missing; it just wasn't even there. 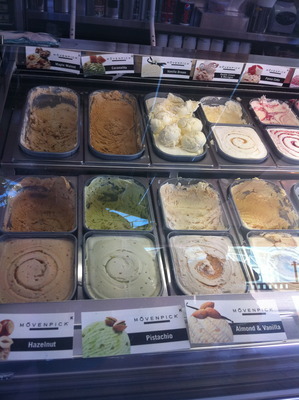 Also tried the banana ice cream, and it was a bit acidic. It might just be a matter of trying other flavours. Their Manly store is packed with customers most of the time which is generally a good sign. 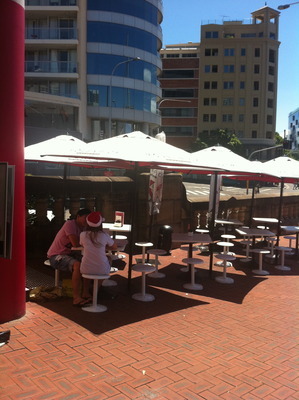 Not at Darling Harbour though. I won't be returning in a hurry, even though it might be good to try a couple more flavours at this establishment.